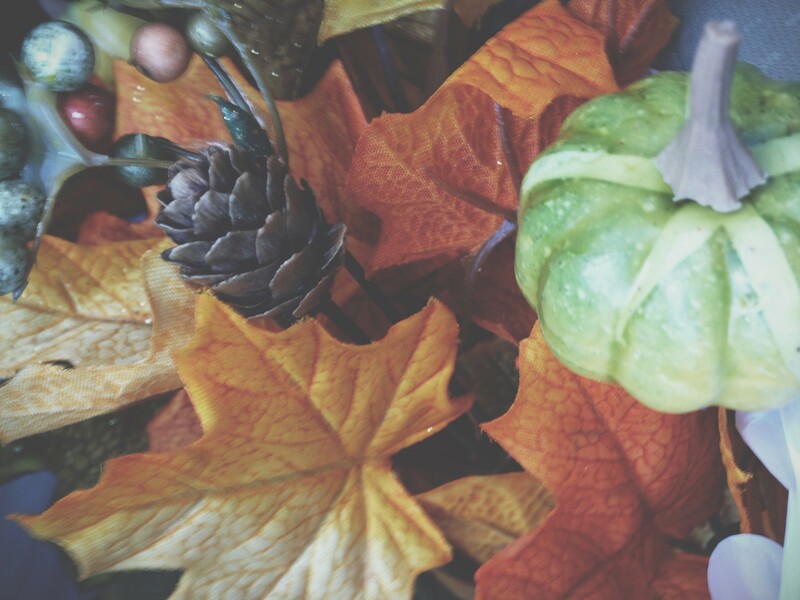 My favorite time of the year is showing up at our door step sooner than I expected.. And… I’m so excited!! 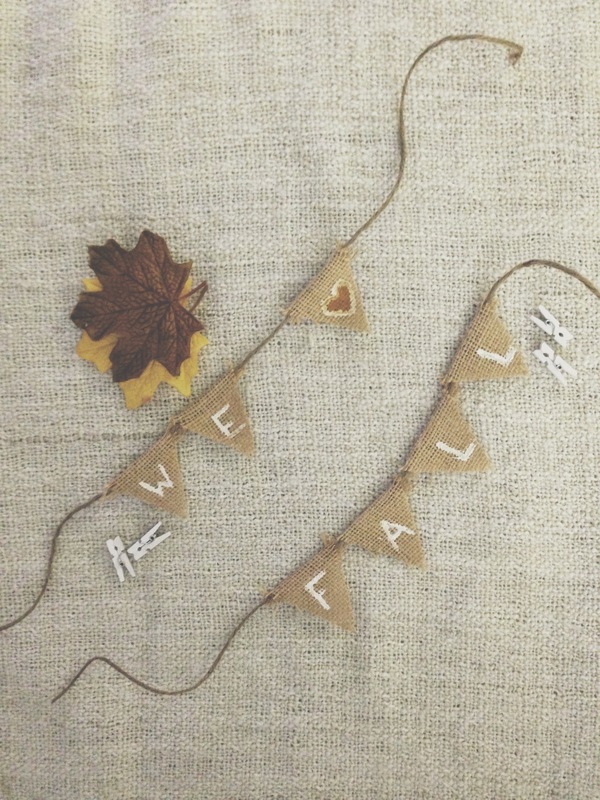 Welcoming fall is one of my favorite times of the year, besides Christmas of course. That’s probably because fall reminds me that Christmas is around the corner. Oh, and who doesn’t like a great pumpkin spice latte? Or anything with pumpkin in it for that matter?? In this household, we sure do! Starbucks takes a good chunk of our pay on a regular day. Imagine what it’s going to take around the holidays with all those yummy seasonal flavors?!? We might need a budget soon enough lol. I think I speak for many when I stated that the best part of the year is showing up at our doors very quickly. 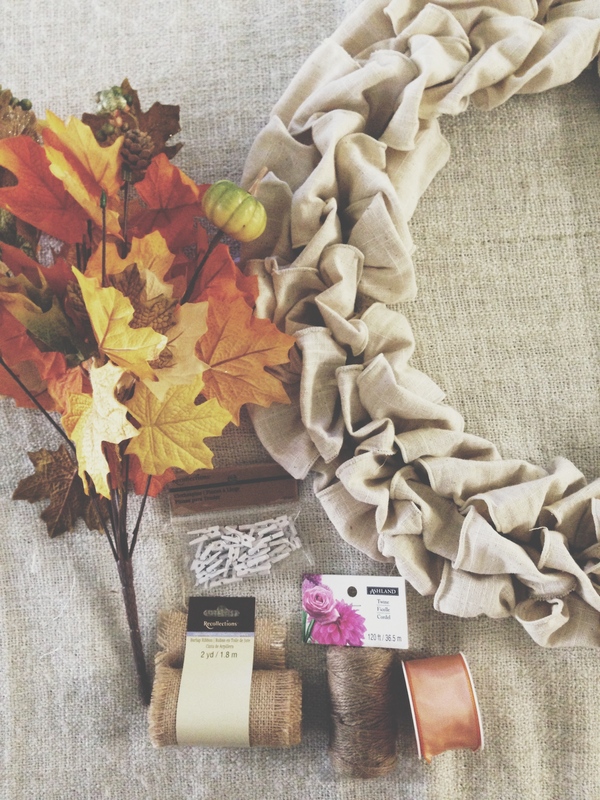 So I thought, what better way than to welcome fall at our door step with some decorations and a great DIY.. Well fall is literally being welcomed at our “door” step with an exciting entrance! 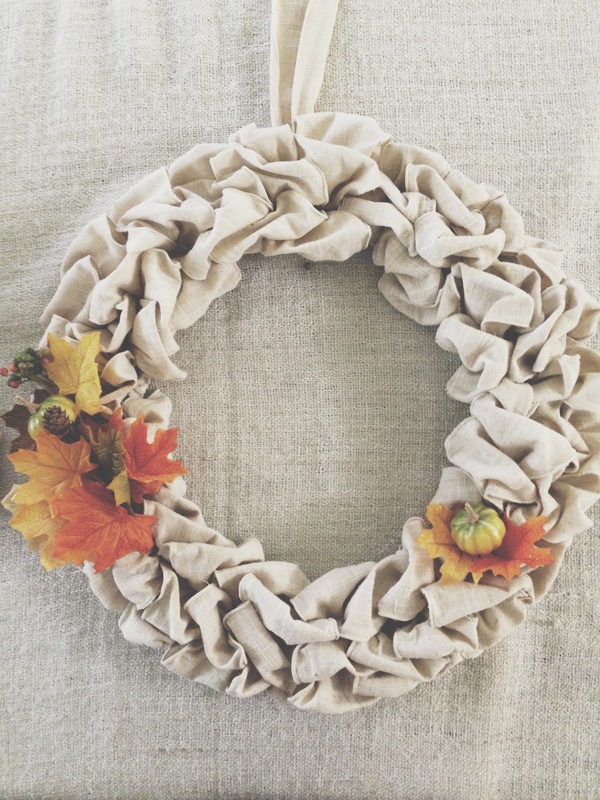 An easy DIY wreath! The best part of it was how easy it was to make and being able to decorate it however you envision it! Oh and did I mention you won’t have to pay a crazy $50 dollars on these online websites?! Score! 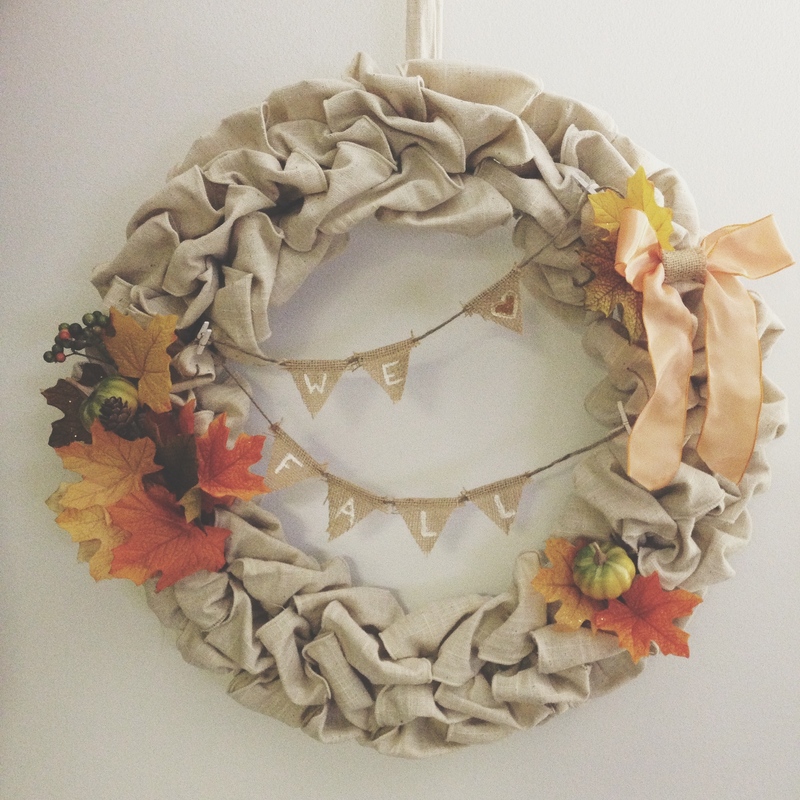 I’m extremely excited to share a piece of my happiness of this DIY wreath with you all. Below I tried to capture a step by step of my masterpiece for you all! Enjoy and let your creativity run wild! Here was the start once I got the hang of it. 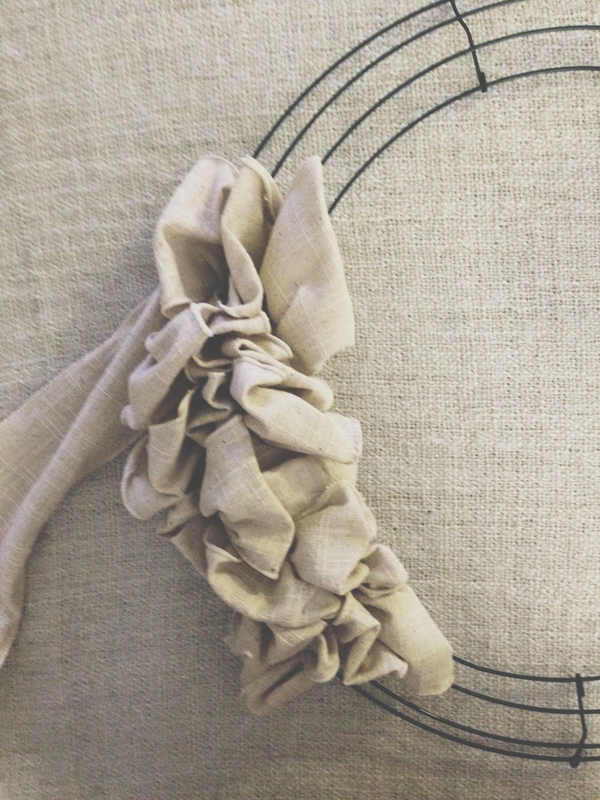 Below you will see some of the wire wreath show, don’t worry you’ll be able to ‘fluff’ it up after you are done. Below, was after I ran out of the first roll of Burlap and had to tie in the following. 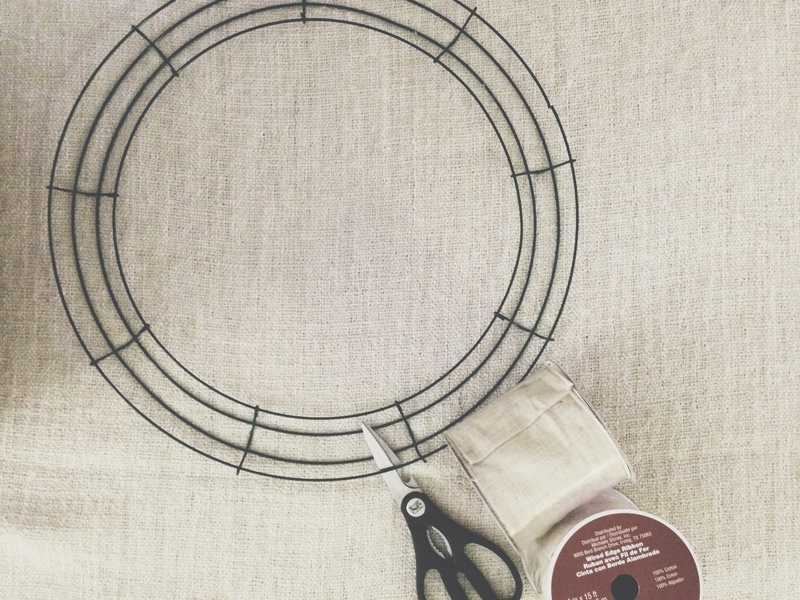 These pictures will give you an idea of how to start applying the burlap onto the wire wreath. I helped secure each beginning burlap roll with some of the floral wire. 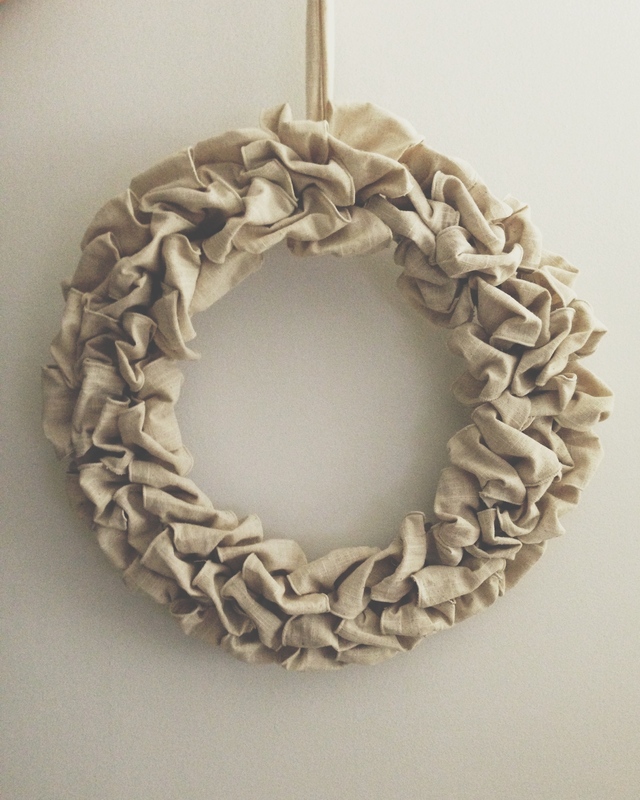 THE FINAL Stage of the Burlap wreath and how I finished it off is below. After the last 3 loops were in place, I flipped the wire wreath to the back side, twisted the end of the burlap and made a secure knot tied into the actual wreath to secure it in place. I literally used the floral wire for everything and having everything stick! Worked like a charm! Here is my attempt on the bow and my cute little burlap banner and some paint to write on each individual triangle! 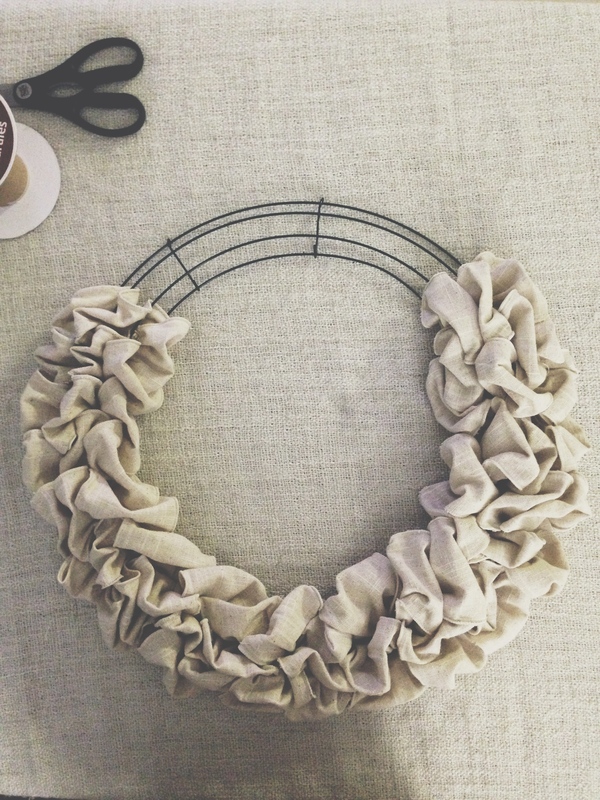 There you have it… MY very own DIY wreath! The best part about it is that it’s my own.. and I spent the time making our home ready to welcome this new season at our very own ‘Door’ step! 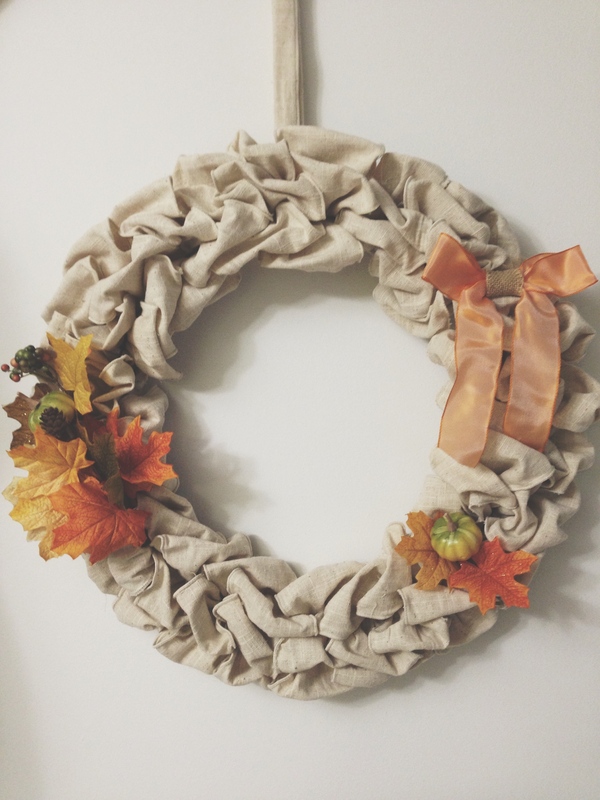 What are your favorite DIY’s bringing in the new seasons? Oooh I love it! Love the mini bunting! 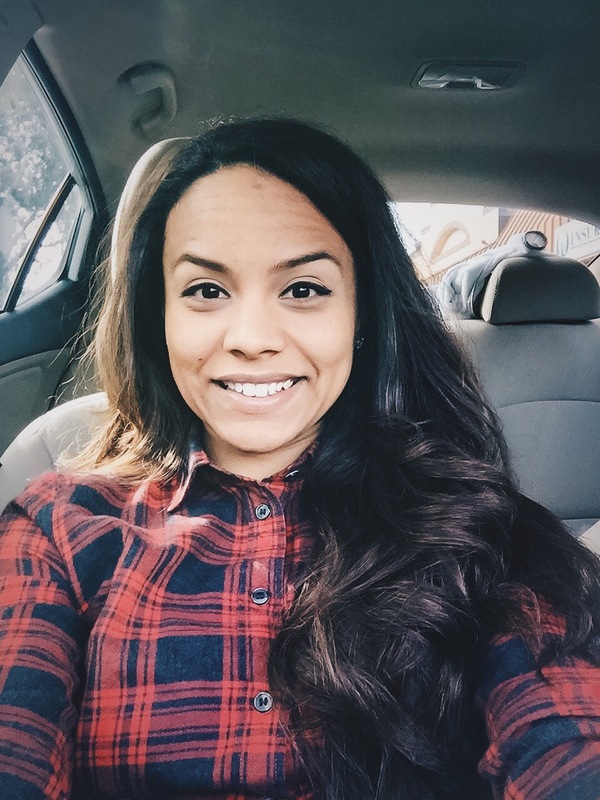 Next Next post: MEN TELL ALL!